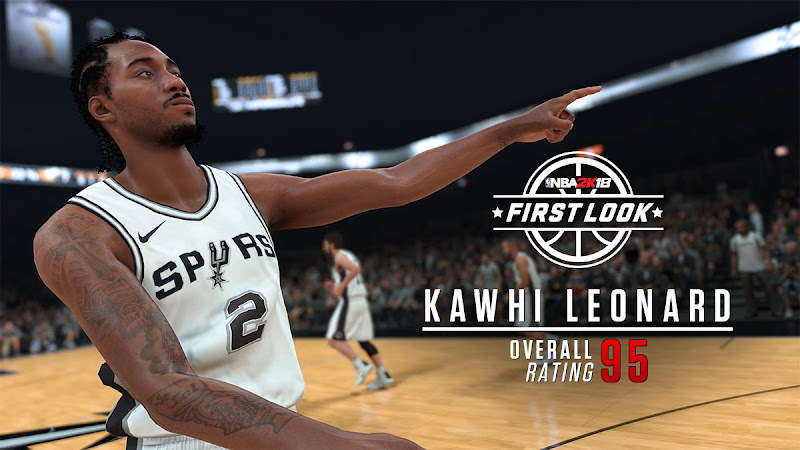 Arguably the best two-way player in the league, Kawhi Leonard receives the second-highest overall rating in NBA 2K18 of any player revealed so far. Leonard joins Kevin Durant (96), Stephen Curry (94), Paul George (91), Karl-Anthony Towns (91), Giannis Antetokounmpo (91), Kyrie Irving (90) and John Wall (90) in that elite 90+ group. 2K Sports has just announced that Los Angeles Lakers rookie Lonzo Ball will be wearing his family's Big Baller Brand sneakers in "NBA 2K18." 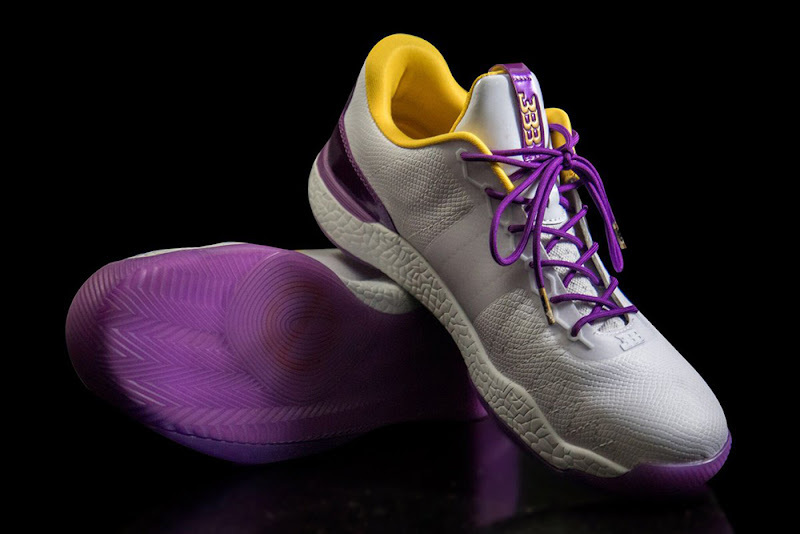 Lonzo wore the ZO2: Prime (black and gold) and ZO2: Sho'Time (Lakers colorway) in the early games of Summer League but later switched to Nike, Adidas and Under Armour shoes. It's unconfirmed whether the ZO2: Independence Day collection will be available in the game. 2K Sports releases a new set of NBA 2K18 screenshots. The latest batch includes Derrick Rose, Jae Crowder, Evan Fournier, Jayson Tatum, Brandon Ingram, John Collins, Justin Anderson, Isaiah Whitehead, Tyus Jones, Ben McLemore, Kyle Kuzma and Brice Johnson. 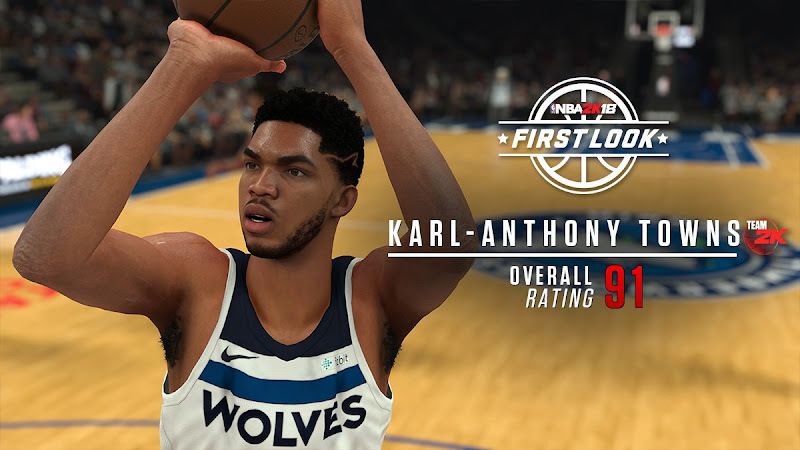 Check out the gallery below to find out their ratings and to see how their player models look in the game. Today we get to see two more NBA 2K18 screenshots of the players and their ratings in the game. This time featuring center Andre Drummond of the Detroit Pistons and Myles Turner of the Indiana Pacers. 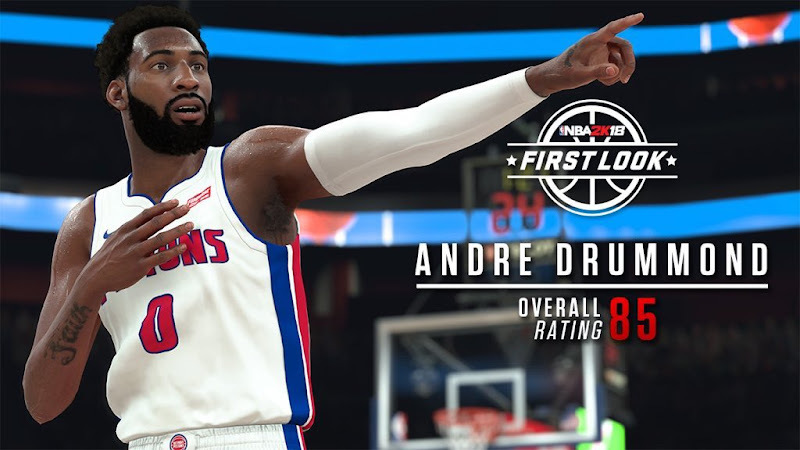 Drummond receives 85 overall, which is a point higher compared to Turner's rating. NBA 2K18 is a month away from release, and 2K Sports continues to unveil the overall ratings of the players. This batch of screenshots includes three of the most promising young superstars in the NBA, T'Wolves' Karl-Anthony Towns, Bucks' Giannis Antetokounmpo and Knicks' Kristaps Porzingis. We also get a first look at the new Minnesota Timberwolves association edition jersey that features midnight navy and lake blue stripes. Following the debut of the new NBA 2K18 trailer, which you can check out by clicking here, we've gone through the video and pulled out 103 screenshots all in high-resolution for your viewing pleasure! Check out the 'The Art Behind NBA 2K18' trailer screenshots in the gallery below! 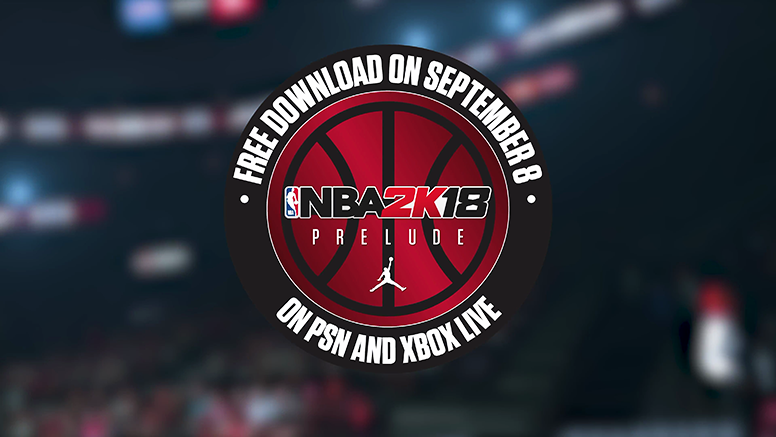 The Prelude for NBA 2K18 will be available on September 8, which is 7 days ahead of the full version of the game for those who will pre-order. The first NBA 2K18 trailer displays jaw-dropping in-game graphics comparable to real-life players. 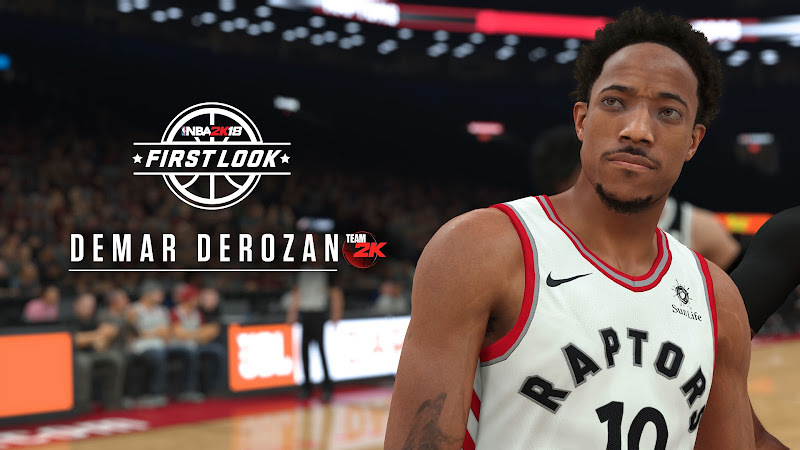 2K Sports really took things one step further this year, and the latest video shows how much detail they've put into it. 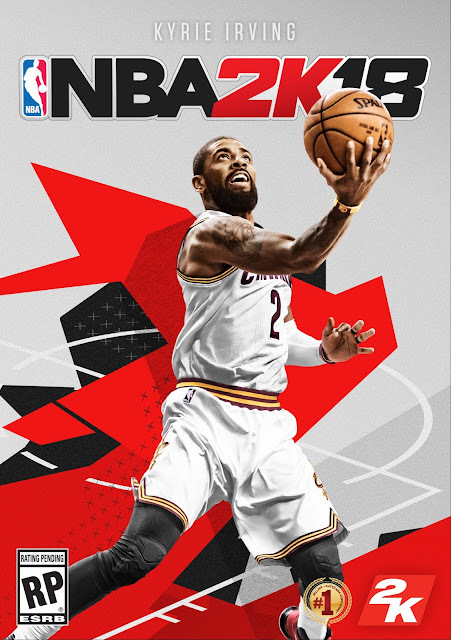 Kyrie Irving, who graces the cover of NBA 2K18 set to be released September 19, will have an overall rating of 90. 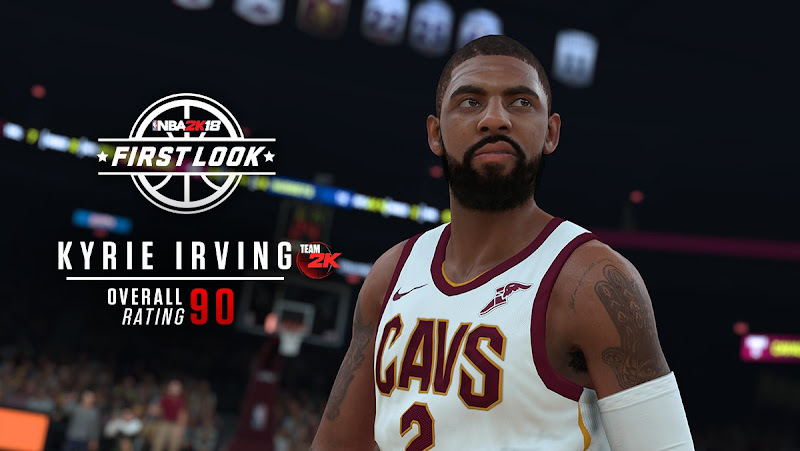 In an interview that took place during a commercial shoot for NBA 2K18, Irving was asked what he believed his rating should be. “I think my rating should be, if we’re adding in a few factors, cover athlete, cover athlete, cover athlete, then I should at least be a 95+”. 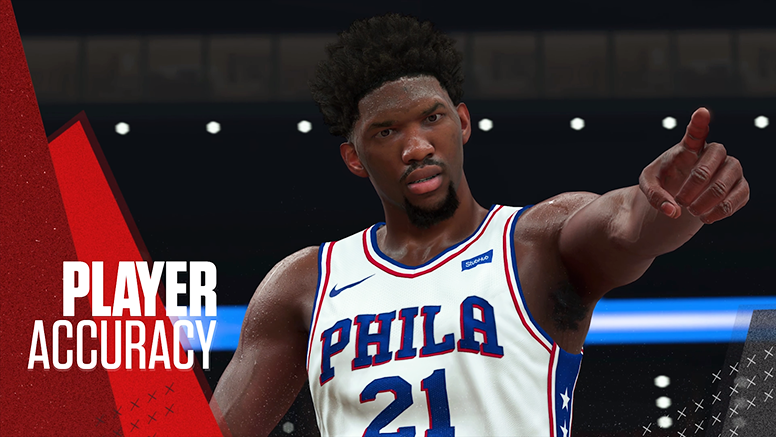 NBA 2K18 is making its yearly rounds, and 2K Sports has just released a new batch of screenshots to celebrate its impending launch. The screenshots, which you can check out below, feature Gordon Hayward, John Wall and D'Angelo Russell sporting the new uniforms with Nike swoosh and advertising patch. 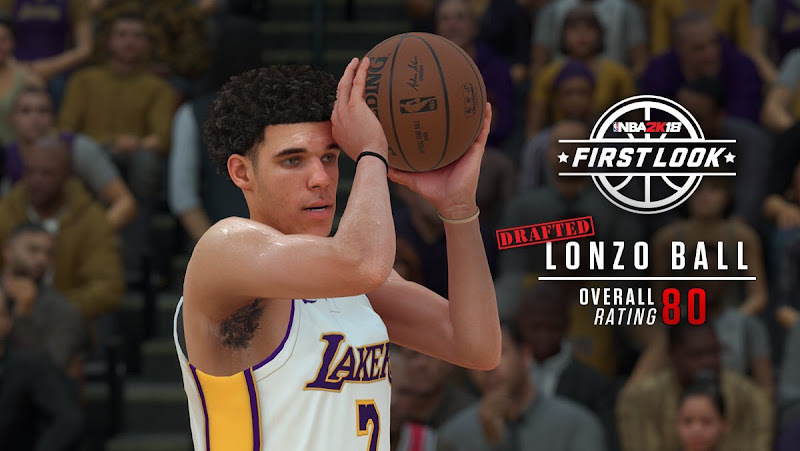 2K Sports revealed the NBA 2K18 ratings for the first and second overall picks in the 2017 NBA Draft, Sixers' Markelle Fultz and Lakers' Lonzo Ball. Both young stars will start the game rated 80 overall which is pretty high for a rookie in NBA 2K. 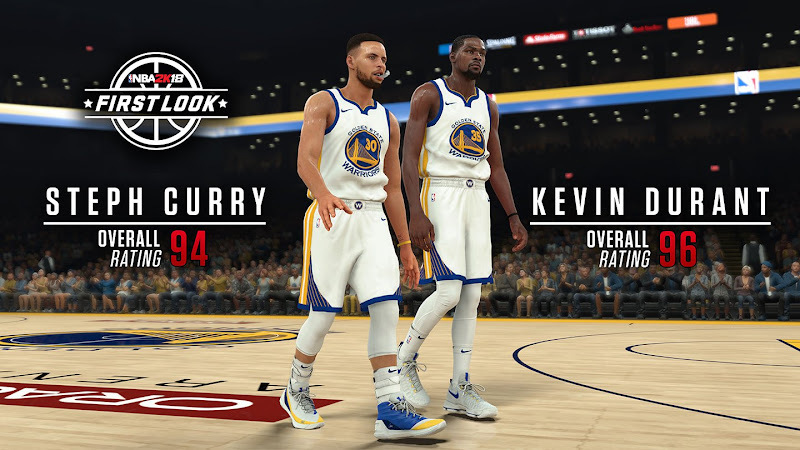 The NBA 2K18 player ratings reveals continue today, as 2K Sports has posted a new screenshot featuring the best scoring duo in the league, Kevin Durant and Stephen Curry. 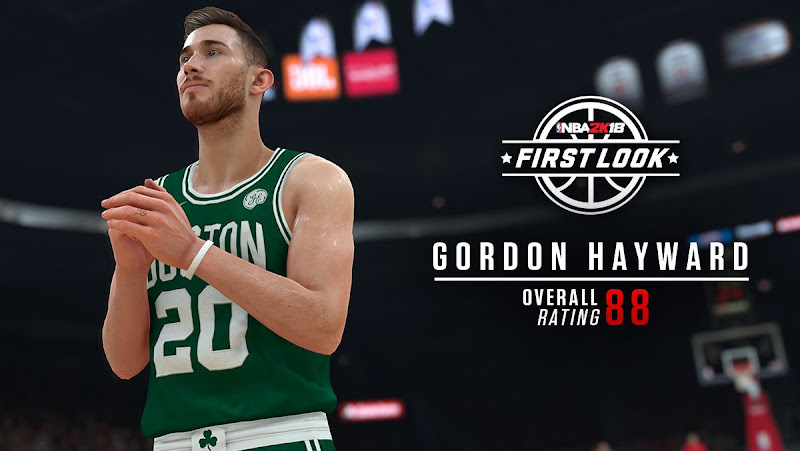 Another week, another load of NBA 2K18 player ratings and screenshots reveals from 2K Sports. Nick Young of the Golden State Warriors and Dwight Howard of the Charlotte Hornets were among the few players that have been revealed so far. 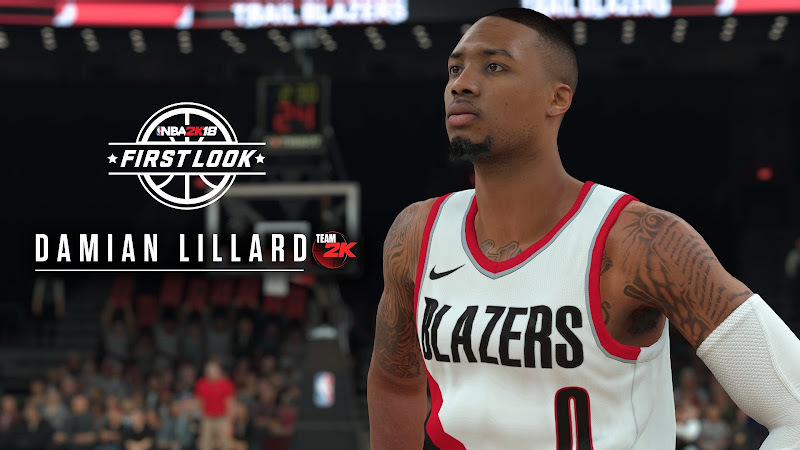 2K Sports released the second round of screenshots, this time featuring Damian Lillard sporting the new Portland Trail Blazers' jersey with Nike swoosh on the right shoulder. 2K also released a screenshot of Indiana Pacers' guard Victor Oladipo right after the team unveiled their new uniform. 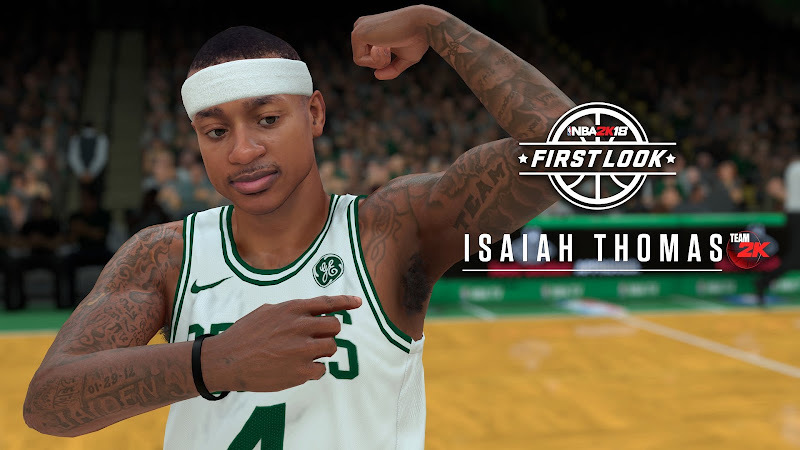 2K Sports has released the first set of screenshots of the upcoming NBA 2K18 featuring Boston's Isaiah Thomas, and Toronto's DeMar Derozan and the newest member of the Oklahoma City Thunder, Paul George. The screens give a look at the detail in the player models and the new Nike swoosh along with the advertisements on the jerseys. You can check out the images below. 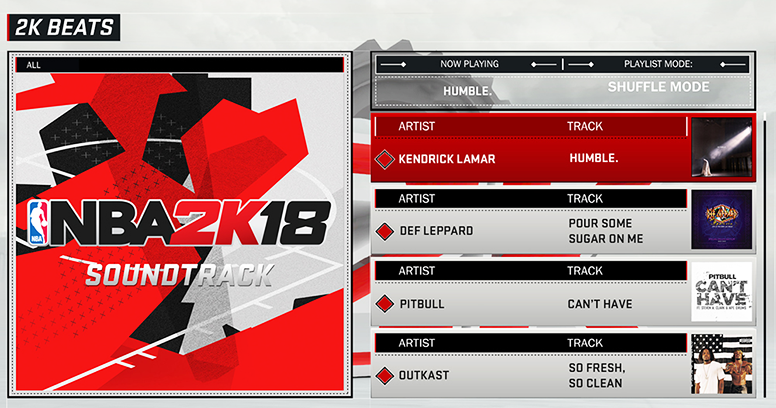 Today, the extensive official soundtrack has been revealed for the upcoming title NBA 2K18, coming to PC, Xbox One, Xbox 360, Playstation 4, Playstation 3 and Nintendo Switch on September 19. There are a whopping 48 new songs in the tracklist. The songs cover a wide range of musical taste to cater to everyone who plays the game, ranging from hip hop to rock. 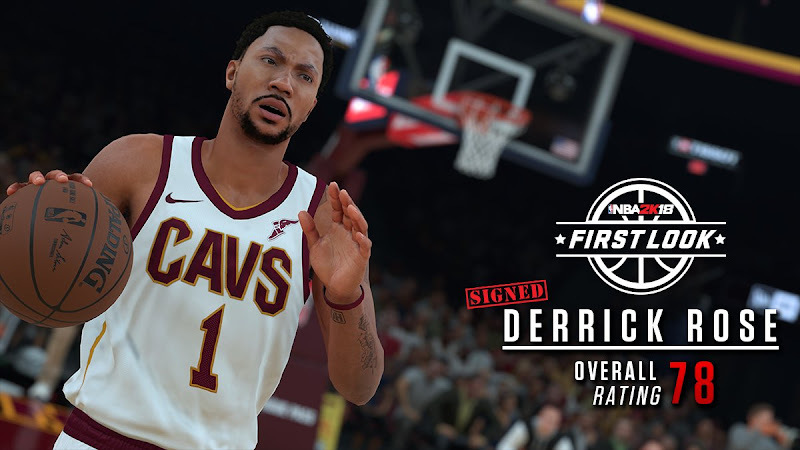 2K Sports began revealing ratings for a few of the star players in the NBA. During a commercial shoot for the upcoming title, several players are asked what they think their ratings should be in NBA 2K18. 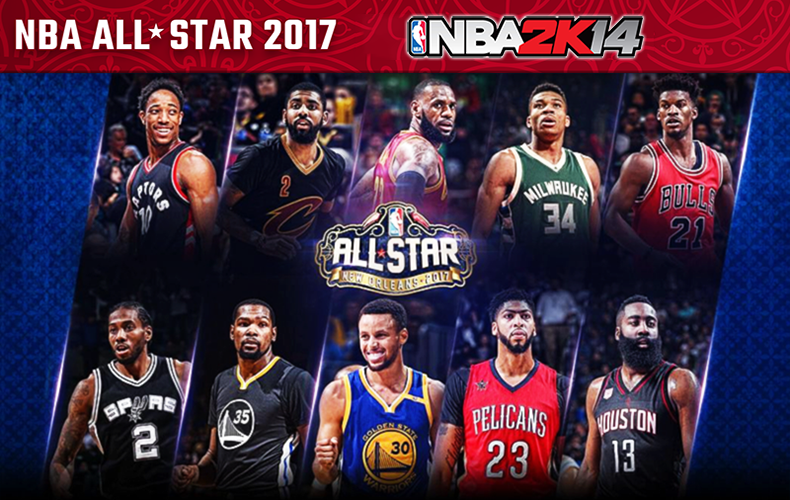 2K Sports has announced their upcoming NBA 2K18 installment in the form of a cover announcement with the reveal of one of the most brilliant offensive players in the NBA today. 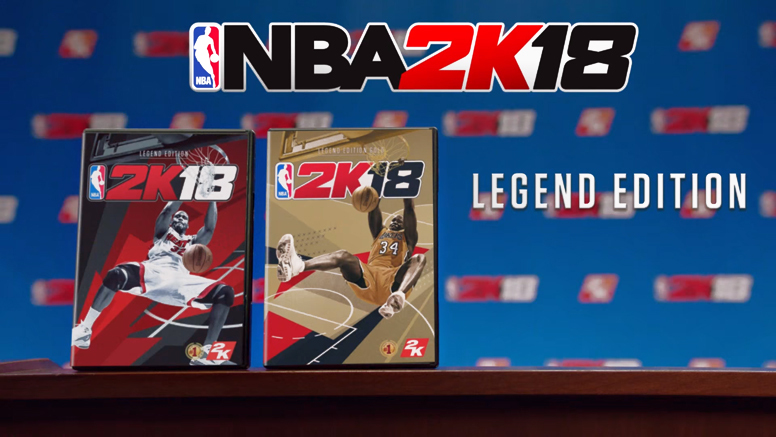 NBA 2K18 will have three editions – the Standard Edition, Legend Edition and Legend Edition Gold which will cost $59.99, $99.99 and $149.99, respectively. A comparison of all three version of the game can be found here. The latest update allows you to play the 2017 East All Stars versus West All Stars game with updated jerseys and rosters. Team World and Team USA have both been added to the game. Check out the changelog for complete details. 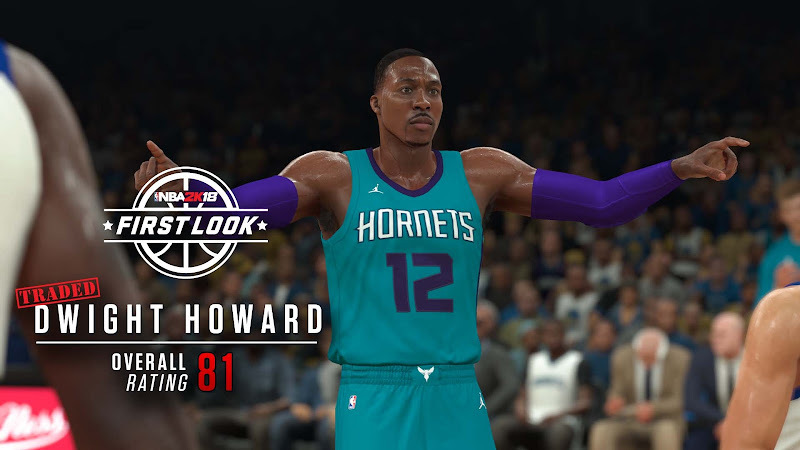 NBA 2K14 PC roster updates from Medevenx have returned for the ongoing 2016-2017 NBA season! This mod, titled "Med's NBA Roster" (formerly "Med's Ultimate Roster") updates your NBA rosters to the latest transactions with new players, jerseys, coaches, etc. 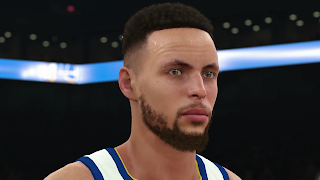 This mod was designed with details on every single aspect of the roster, to provide an authentic NBA video game experience just for you.